I’ve finally decided to bite the bullet and move this blog to a self-hosted WordPress site. Blogger has been great, but I would really like to revive this blog and I think moving to WordPress where I have more control and more options will help. By revive this blog, I mean talk about games again instead of just the projects I’m working on. Unless you are really into my current projects, this blog has become boring and I need to shake it up a bit. More importantly, I need to shake me up a bit and get out of the rut of only talking about my projects. I think moving to this blog to WordPress with its multitude of options and different looking back end might help shake me up. Given my schedule, moving this blog might take a few weeks (or might be done in the next few days). In any case, I plan to do it transparently so all the old links to posts on this blog around the web should still work. From the reader’s POV, one day you will load up this blog and see we are on the new site. That’s the plan, at least. The Summer Heat Wave Fund Drive is on. Every $10 donated gives you one chance to win a one of the many early RPG items (What Price Glory? 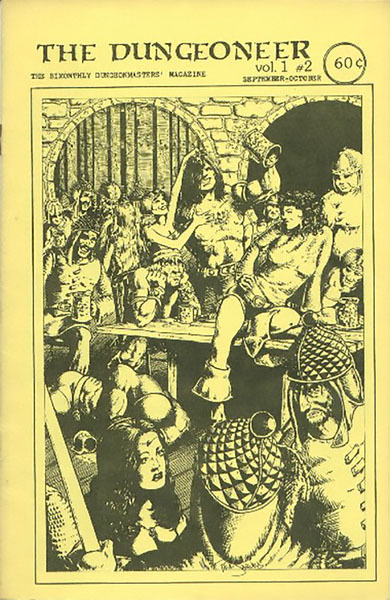 !, issues of The Dungeoneer, etc.) described in the above-linked post. Multiple drawings will held. Donate $10 or more to be listed as a sponsoring donor in upcoming RetroRoleplaying releases. These benefitsare in addition to the usual PDF downloads and other benefits of a donation to the RetroRoleplaying Cancer Fund. To get help us pay our medical bills (and to get access to some special downloads and possibly the above mentioned lazy days of summer items), send a donation in any amount — small or large — to me via Paypal. Thank you!